For the first time, academic institutions will be exploring and discovering novel applications for vacuum ultraviolet (VUV) detection. VUV Analytics is proud to announce our academic grant program, available to all higher education institutions in the United States. VUV Analytics’ proposal submission process will run from March 18th – May 1st, with the grantee being announced on May 3rd. The grant submission process requires all registrants to complete a short form, as well as submit a 1 to 2 page abstract describing the scope of the planned research involving the VGA-100 gas chromatography (GC) detector. The awarded grantee will have access to the VGA-100 for an entire semester. For more details on the academic grant program, read the terms and conditions here. 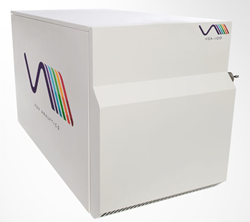 The VGA-100 is the world’s first commercially available VUV absorption spectroscopy instrument, and has features and benefits beyond the capabilities of mass spectrometry. The grant program represents an opportunity for the academic community to pioneer the largely unexplored research applications enabled by VUV spectroscopy. The award winning VGA-100 has been recognized as an innovative and emerging technology. The VGA-100 claimed the distinguished “Best New Analytical Instrument” award at the Gulf Coast Conference, emerging from a competitive field of the world’s newest scientific instruments. Additionally, The Analytical Scientist named the VGA-100 a Top 5 winner in their annual Innovation Awards. These awards represent validation from leading analytical chemists of the vast potential offered by this novel and truly unique approach to a largely routine and established science. To submit a proposal for the VUV Analytics academic grant program, click here.